University Health Network's (UHN) interim CEO, Justine Jackson, Executive Vice President & CFO brings almost 30 years of experience in 14 roles. Since January 2012, Jackson has been the Executive Vice President & Chief Financial Officer, accountable for UHN's $1.9 billion operating budget, $100+ million capital budget, and creating UHN's five, 10, and 20 year development plan. Her key contributions include developing the budget strategy and financial consolidation of the Toronto General Hospital, Princess Margaret Hospital and the Toronto Western Hospital and Doctors Hospital mergers. 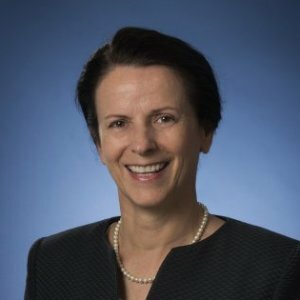 She was instrumental in implementing case costing for UHN, leading to the first understanding of the hospital’s financial aid and clinical integration. She spent six years located at TWH as Controller and then also as Executive Director of Operations for the neuroscience and musculoskeletal health and arthritis programs. She was appointed CFO in 2006, VP Finance in 2008 and SVP in 2010. With almost 30 years of experience in 14 roles at University Health Network (UHN), Justine Jackson, Executive Vice-President & Chief Financial Officer, took on a new role as interim Chief Executive Officer (CEO) in 2014. Jackson talks about defining moments in her career and what she's learned about the heart of UHN – how research and patient care are connected. CFO Executive Summit Toronto, ON.